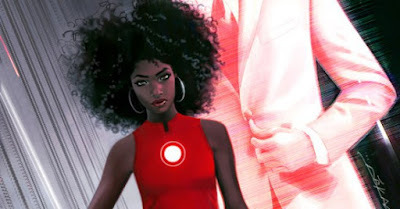 Last month we learned that Tony Stark would be stepping down as Iron Man, and bequeathing his role to Riri Williams, a young science prodigy who had fashioned her own version of Starks’s Iron Man suit. Now, in a WIRED exclusive, Marvel has revealed that when Williams officially steps into the role this November, she’ll be known as Ironheart. Writer Brian Michael Bendis and artist Stefano Caselli have teamed up to create Ironheart’s beginning in this fall’s Invincible Iron Man #1. While Williams and Stark have recently met in the current run of Invincible Iron Man, the new volume will serve as the official transition into Riri’s Stark-sanctioned heroism.